Enter the dragon’s lair in Drakon, a new edition of a classic board game of treasure and dragonfire for 2 to 6 players! You and your rival heroes have been caught in the act of stealing from Drakon’s hoard, but she has decided to toy with you instead of eating you immediately. The first hero to grab ten gold from Drakon’s lair will be set free with his treasure, but those who fail will become Drakon’s lunch. In every game of Drakon, you collect gold by moving your hero through a labyrinth that you create by playing tiles from your hand. 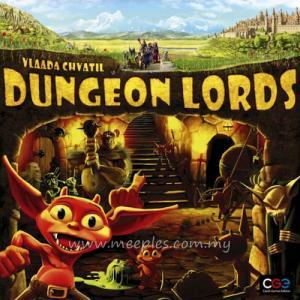 Ancient magic and hallowed treasure await you within the labyrinth, but there are dangers as well. 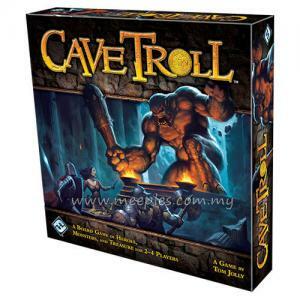 Drakon herself prowls the dungeon corridors, taunting the heroes and stealing their gold. Your hero’s special ability may prove to be the difference between victory and defeat. 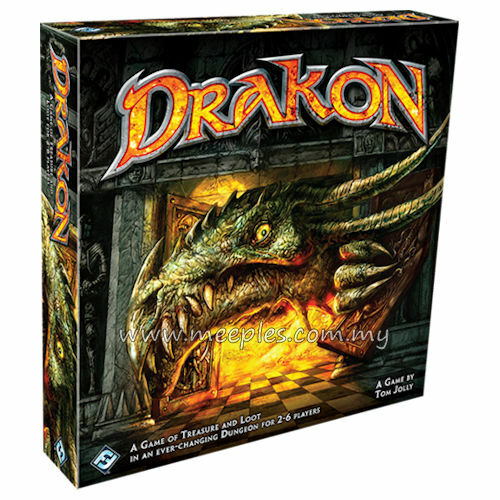 Only your greed can save you in Drakon!